There are many reasons why people support the Ports-to-Plains Alliance and the extension of Interstate 27. Improved safety, connectivity and mobility are all key factors. But at its heart, the Ports-to-Plains initiative is about rural economic development. In this week’s newsletter, we are happy to share a series of articles on Keeping Rural America Competitive. We know that driving on a four-lane-divided highway or interstate is safer and more convenient than a two-lane road. But improved infrastructure also means a great deal to our farmers and ag related business. The more we can do to lower transportation costs for our ag producers, the more they will have to spend in the local economy. In many ways, the Ports-to-Plains Corridor is a current day farm to market road. When the first farm to market roads were built, they were to get crops from the field to town. 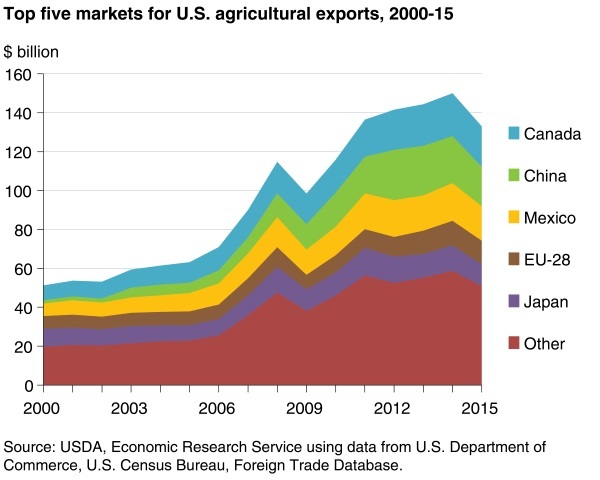 But today our agriculture producers rely on trade and exports and compete in a global market. Our corridor is critical to future economic competitiveness. The Texas Freight Mobility Plan states: in terms of the Primary Freight Network - Interstate Corridors implementation priorities include the development and completion of new corridors by giving additional consideration to the extension or designation of other interstate routes to interstate standards. Examples include IH-27. 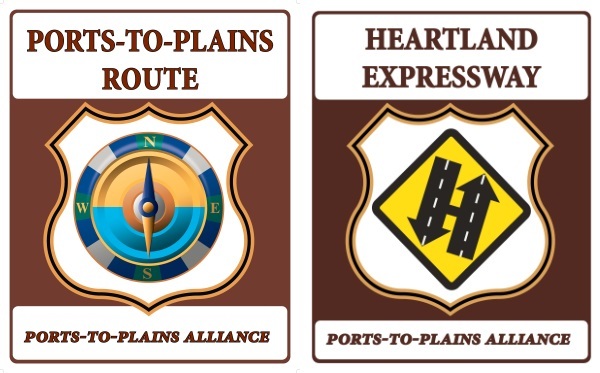 The Ports-to-Plains Alliance is pleased to announce that the Colorado Department of Transportation is installing signage to identify the Ports-to-Plains and Heartland Expressway through eastern Colorado. These corridors have been designated by Congress as High Priority Corridors on the National Highway System. 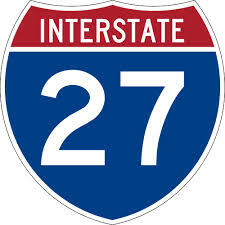 In eastern Colorado, the designated Ports-to-Plains corridor is U.S. 287 between Limon and the Colorado/Oklahoma state line. 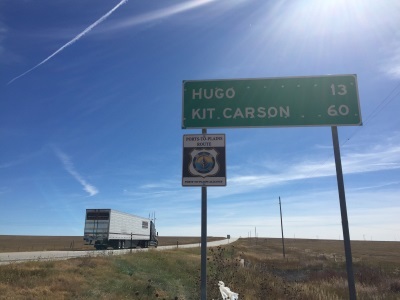 The Heartland Expressway is designated on Colorado Highway 71 between Limon and the Colorado/Nebraska state line. Previous to Colorado beginning this installation the corridor is also signed in North Dakota and New Mexico. The Ports-to-Plains Alliance purchased the signs that are being installed in Colorado. Signage becomes more significant as trip planning programs such as Google Maps and Apple Maps use existing signage to identify routes on trip planning software used by millions of travelers and businesses. “The identification of the route on trip planning software provides an alternative for cars and trucks to traveling the congested portions of Interstate 25,” said Cathy Shull, Executive Director of Progressive 15, a member of the Ports-to-Plains Alliance Board of Directors. US infrastructure and rural prosperity: Are we falling behind? Walmsley sees his foremost role as protecting agriculture from laws and regulations that can break links between infrastructure advances and the farm economy: countering environmental opposition to lock replacements on the Mississippi River system, for instance, or new river port terminals in the Pacific Northwest. “It´s important for us to ensure there is an environment for innovation to take place to address (infrastructure) needs,” he says. Much of the underlying concern about the need for better infrastructure stems from the projection that food production in the U.S. and abroad will need to dramatically increase, with estimates of world population exceeding 9 billion by 2050. U.S. farmers and ranchers are poised to dramatically increase productivity and help “feed the nine” - if they have a strong distribution network that can both deliver inputs to them and move their crops, livestock, dairy and poultry products to markets - all enhanced by the burgeoning connections with broadband and wireless communications. Kip Tom, who produces a big acreage of soybeans, corn and seed corn in northeast Indiana, needs to get his corn to ethanol plants and soybeans to crushing facilities across a good portion of his state. The ethanol, distillers' grains and oil from his crops go by truck, rail tanker or barge on the Ohio River along the southern Indiana border. In terms of infrastructure, he believes he is in a great location: “One of our advantages is our access here to about 65 percent of the nation by truck within 24 hours,” he says. But Tom says he has watched transportation dollars for his state and counties shrink for years while the demands on the highways continues to increase with ever larger farm production. But even then, his commodities eventually move down the Ohio River and through locks and dams that are also long overdue for repair. Earlier this month, Locks and Dam 52 - part of the 1920 Ohio River Dam system - was shut down for repair, halting nearby barge traffic both upstream and downstream for several days. When North Dakotan Gregg Halverson started farming in the late 1960s, he used to think more simplistically about connectivity and technology. “It was more about putting the right tractor in front of the right implement at the right time to get the job done,” Halverson, the CEO of Black Gold Farms, recalls. But as his family-owned potato operation has expanded, a need developed for high speed broadband to keep employees communicating from his Grand Forks office to farming operations in 12 states. Out in the field, his team needs to be connected to global positioning systems and other wireless systems to run their auto-steer tractors and transfer important data from each field. “If my dad knew that we had a four-person IT (information technology) team working with a variety of different tools just to keep us connected, he'd probably be spinning in his grave,” Halverson says. The next time you bite into a piece of fruit, grill a steak, or spoon into a carton of yogurt, consider how the item got from the farm to your home - and who paid for the trip. Let's take a broad look at how the country finances the highways, runways, railroads, ports and river navigation structures, and who pays for the trucks, rail cars, ships and barges that move the nation's cargo. The answer is that we all pay, but in much more varied ways even than the country's assorted transport modes themselves. 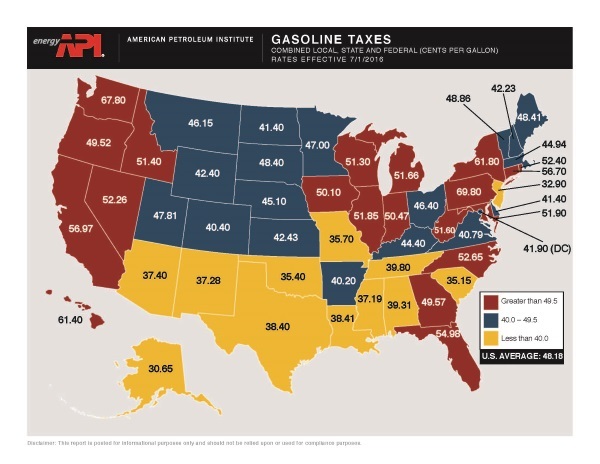 Just how large is transportation infrastructure anyway? By way of total asset value, investments in all of those transport modes are about a fourth of all U.S. infrastructure investments as estimated in an analysis by the GailFosler Group, based on Congressional Budget Office data. The other three-fourths are for the whole gamut of schools, colleges, water and sewer systems, communications and electric power systems, and other utilities. Also, national investment can be tallied as either government or private. 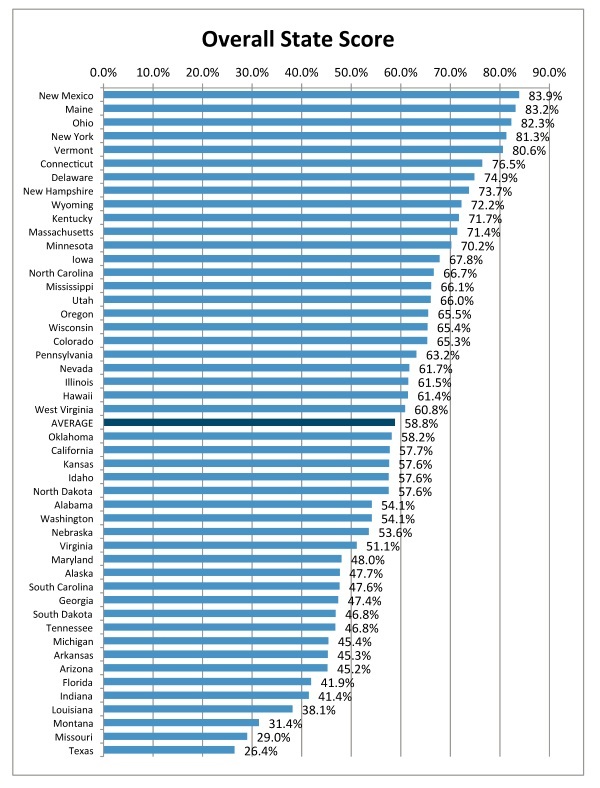 For the benchmark year of 2004, GailFosler segregated infrastructure investment to about 15 percent by the federal government and the rest split at about 42 percent by private interests and a like share by state and local governments combined. Where transportation infrastructure is concerned, the long-term national trend, whether provided by private industry or public agencies, has been toward recovering investment costs from those who are served - charging them freight fees and sundry special taxes and assessments on the cargos and/or the trucks, ships and barges used to move them. 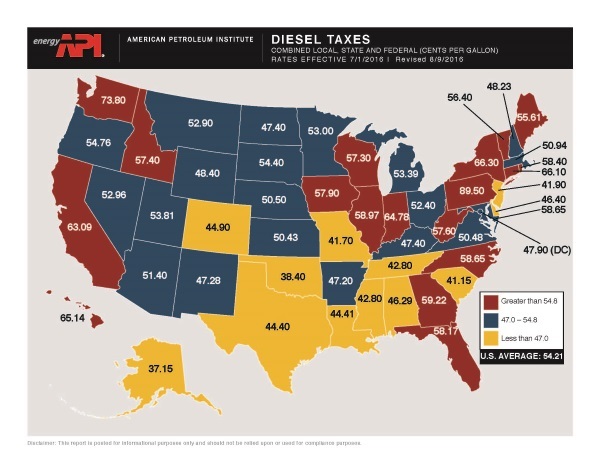 Also, often imposing special taxes and fees on the fuel that the carriers burn. What is needed to ensure U.S. infrastructure remains robust and helps keep the country competitive in world markets? The transportation systems in the United States, the world's largest economy, includes such titans that it's easy to be complacent. 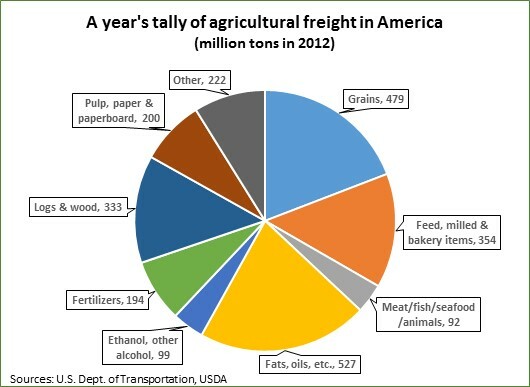 Consider, for example, that U.S. railroads move 1.9 billion tons of cargo a year, or about a fourth of the world's rail freight. But while the trucking industry forecasts an encouraging 29 percent increase in truck freight tonnage by 2026, Texas A&M's Urban Mobility Scorecard declares that U.S. car and truck traffic, abetted by cheap fuel, is rebounding past pre-recession levels, and congestion cost drivers 7 billion extra hours in 2015, or about $160 billion in fuel alone. And that's not just a big city problem: For cities of less than 500,000 people, congestion is four times worse than it was in 1982. Note, too, that the U.S. is far back in the pack of countries developing high-speed passenger trains, with nothing to compare with those running smoothly and safely at 150 to 200 miles per hour in China, Europe, Japan and elsewhere. South Korea recently started service on the first links of its $60 billion campaign to connect its major cities and Seoul's nearby cities in a high-speed passenger train network by 2025, cutting the travel time on the major cross-country routes to as little as a fourth of current commutes. Other parts of American infrastructure face big hurdles as well to remain competitive. In the West, water supplies and their pumping, transporting, and storage facilities will need a lot of innovation and investment in the years ahead to retain a competitive farming sector while satisfying urban water needs, says Michael Tiboris, water issues analyst for the Chicago Council on Global Affairs. The length of the extended drought in the Golden State can't be known, but the Southwest appears destined for drier, more volatile weather long term, with less rainfall and less snow in the Sierra Nevada, he says. This study was created for Progressive 15, a Ports-to-Plains Alliance member, which speaks with a single, unified voice for Northeastern Colorado to influence public policy and enhance our economic viability and quality of life. An estimated $5.4 billion in construction and investment in renewable energy facilities has occurred in eastern Colorado from 2000 to 2016. Of this amount, an estimated $1.3 billion was spent in Colorado on wind and solar equipment, construction materials, soft costs, and compensation for local labor. This spending directly supported a total of 2,595 workers, consisting of 1,434 construction workers and 1,161 manufacturing jobs, representing an average of 153 workers per year over the 17-year period. Renewable energy facilities will contribute an estimated $7.2 million in property tax revenue to counties, school districts, and other special districts such as libraries, fire districts, and health districts throughout eastern Colorado for tax year 2016. Landowners in eastern Colorado benefited from an estimated $7.5 million in lease payments related to wind farms in 2014.